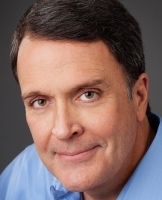 Mark Sanborn is the president of Sanborn & Associates, Inc., an idea lab for leadership development. In addition to his experience leading at a local and national level, he has written or coauthored eight books and is the author of more than two dozen videos and audio training programs on leadership, change, teamwork, and customer service. Mark’s book, The Fred Factor: How Passion in Your Work and Life Can Turn the Ordinary Into the Extraordinary, is an international bestseller and was on The New York Times, Business Week, and The Wall Street Journal bestseller lists. He's a celebrated speaker who has presented over 2,400 speeches and seminars in every state and a dozen countries.